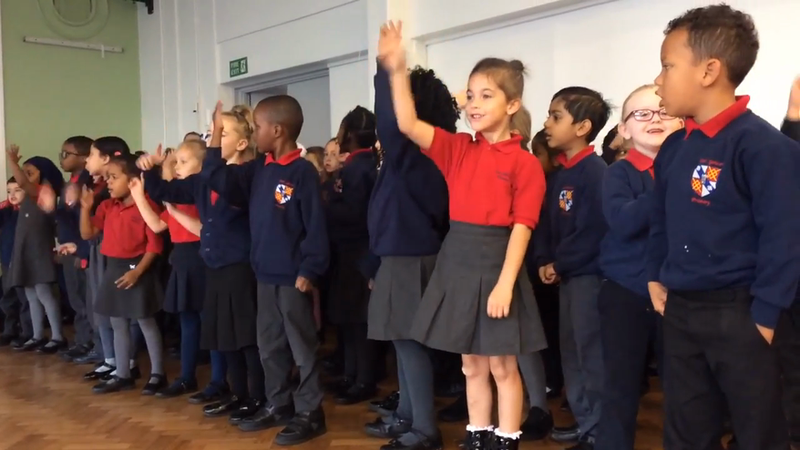 Year 1 performing their harvest song. 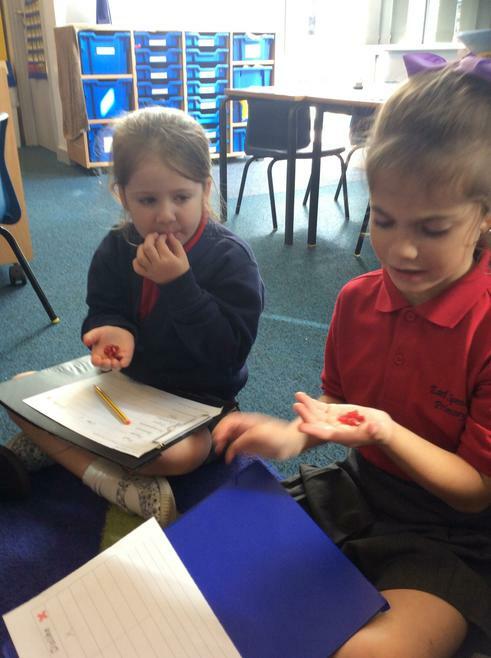 We have been working in groups to think of some questions we would like to know about the church. 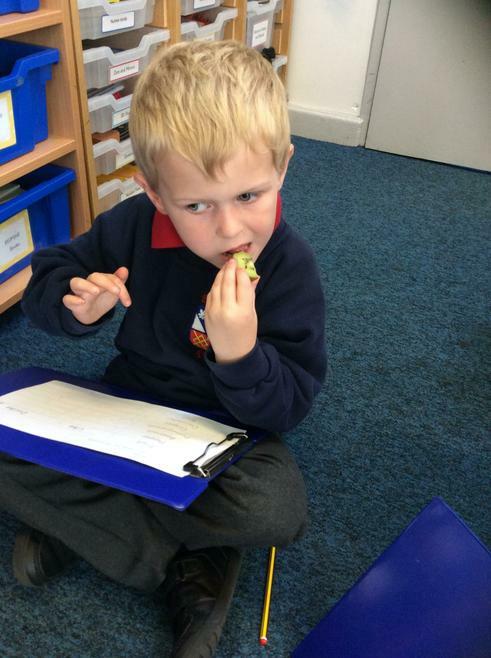 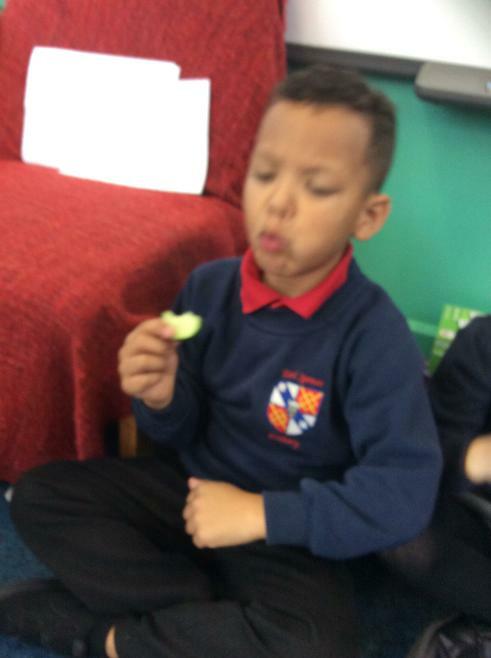 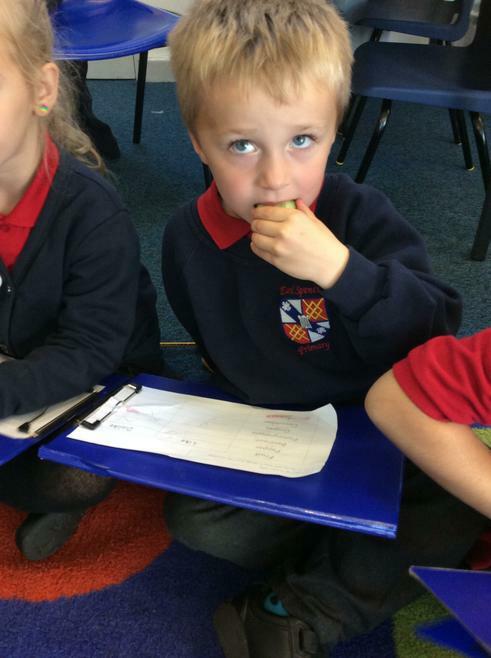 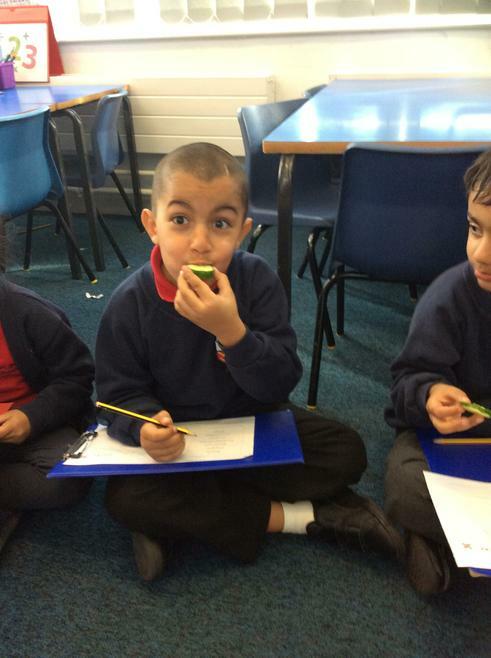 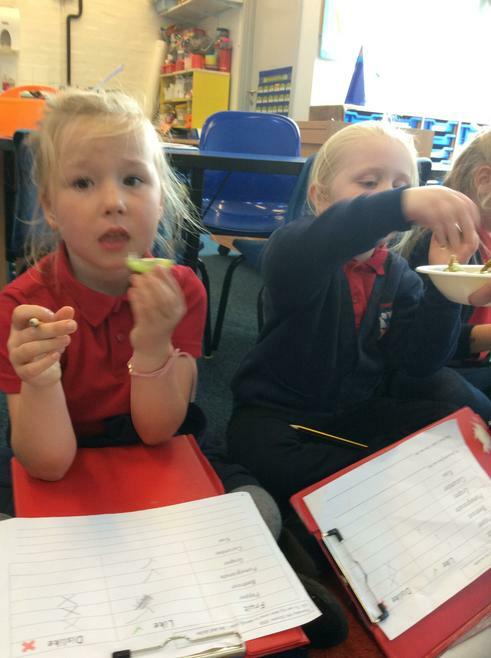 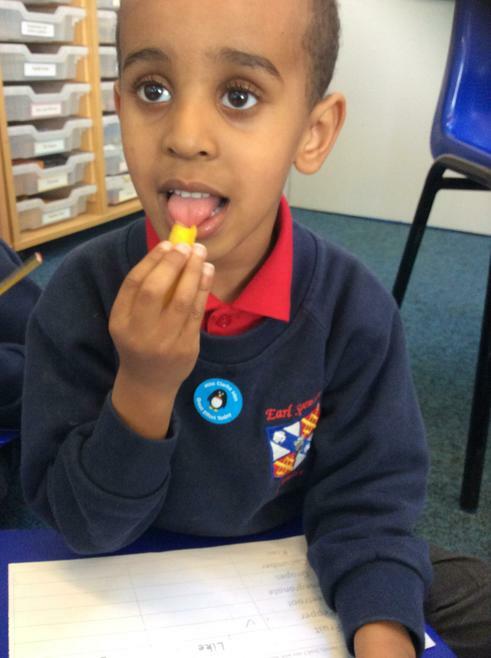 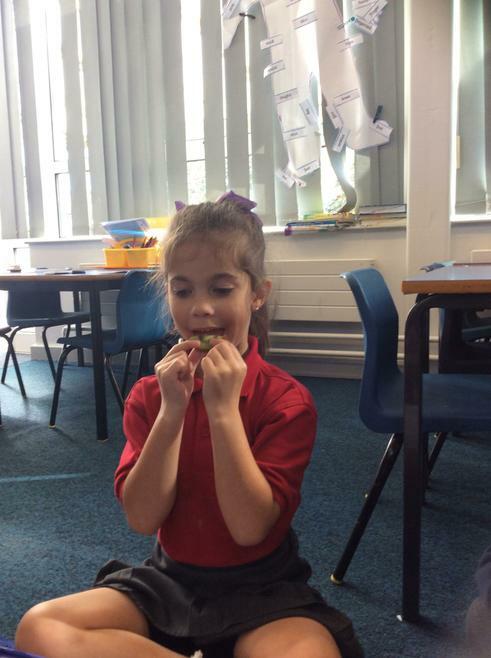 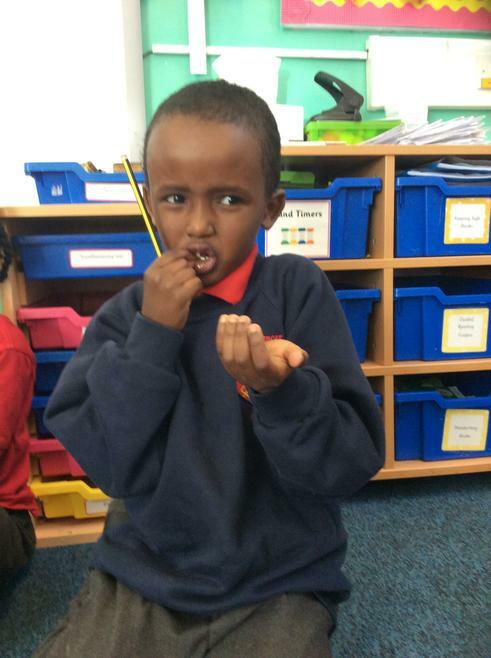 Today we used our taste sense to try different foods. 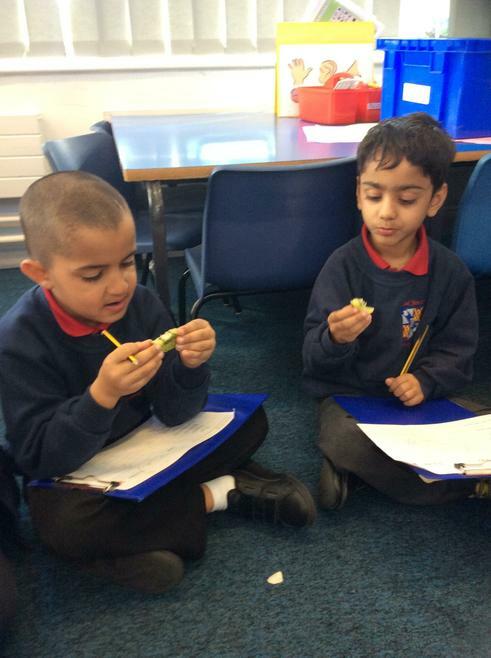 We have been using our sense of smell to decide what was in the cups. 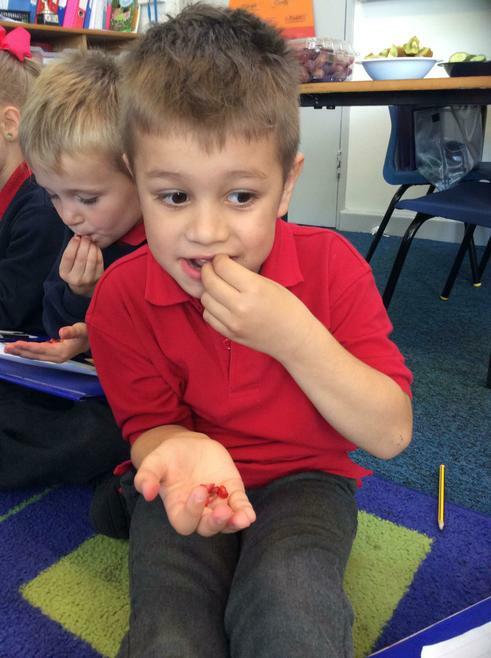 Was it mint, chocolate, water, ginger, cinnamon, vinegar, lemon or vanilla? 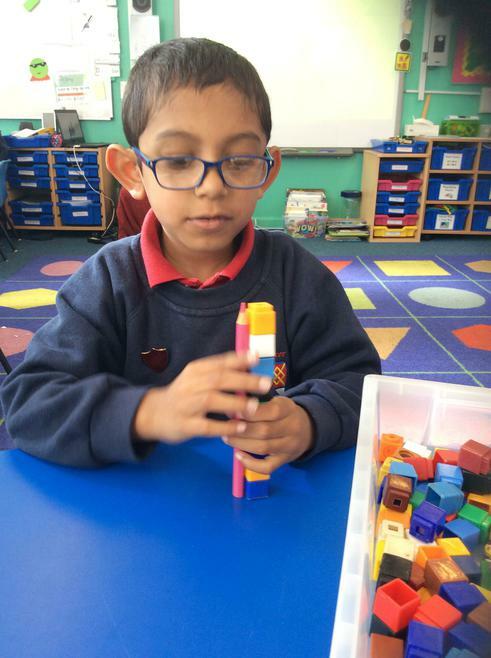 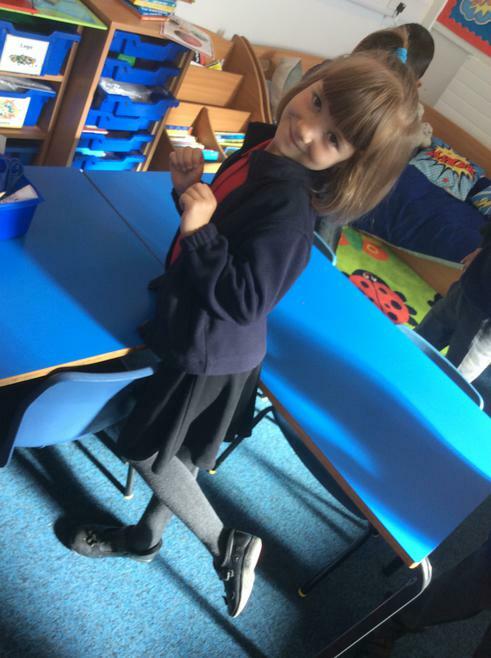 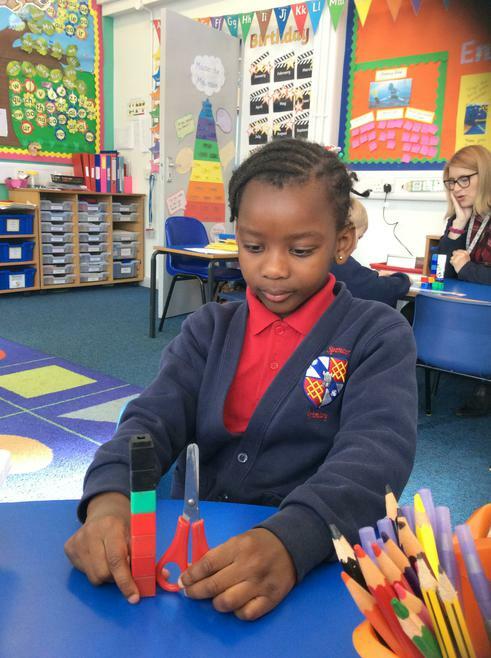 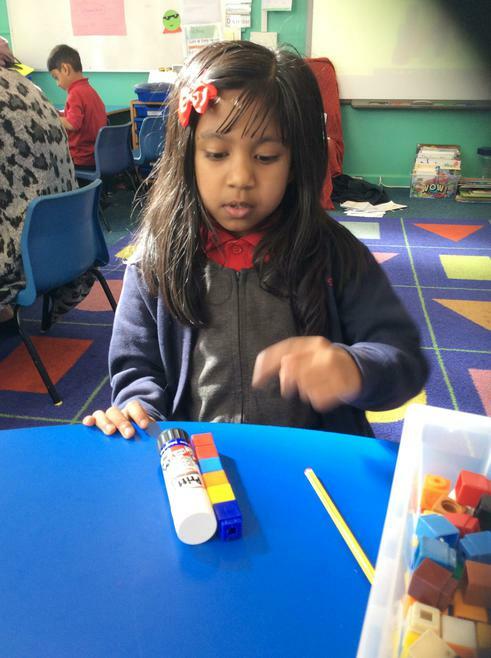 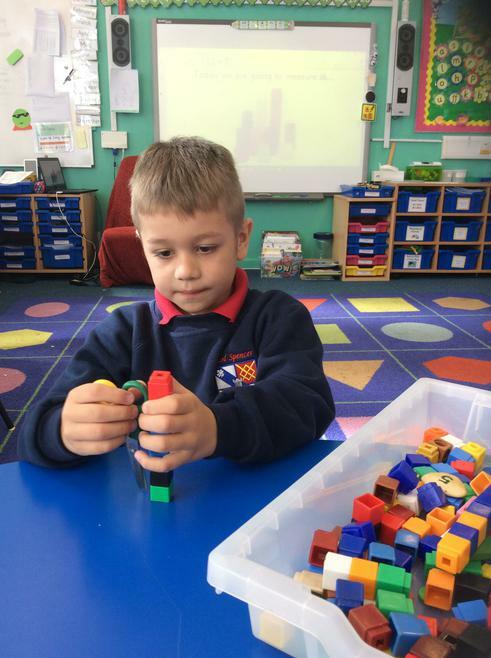 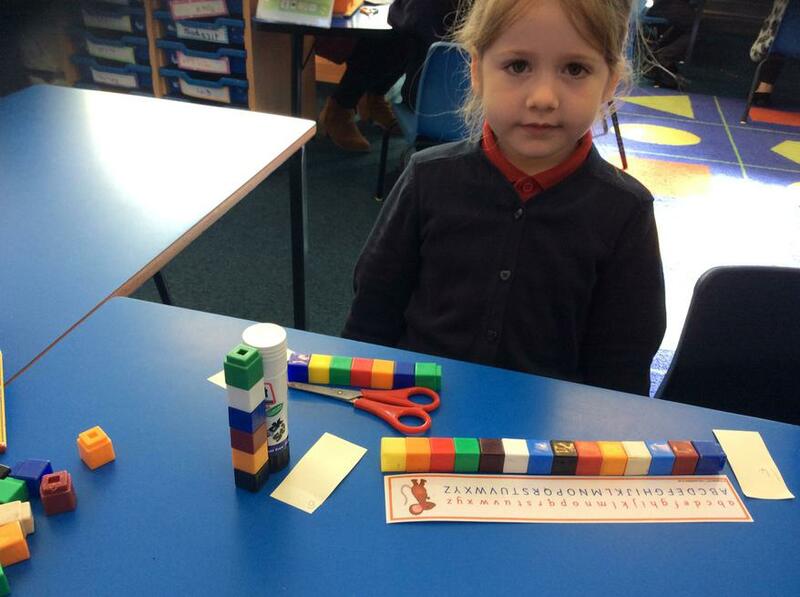 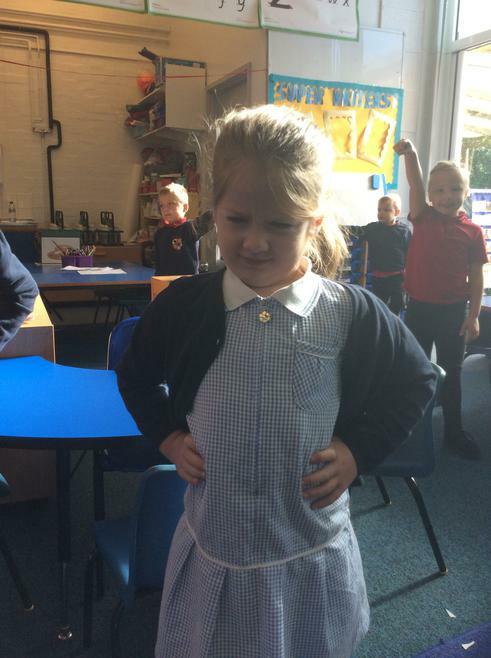 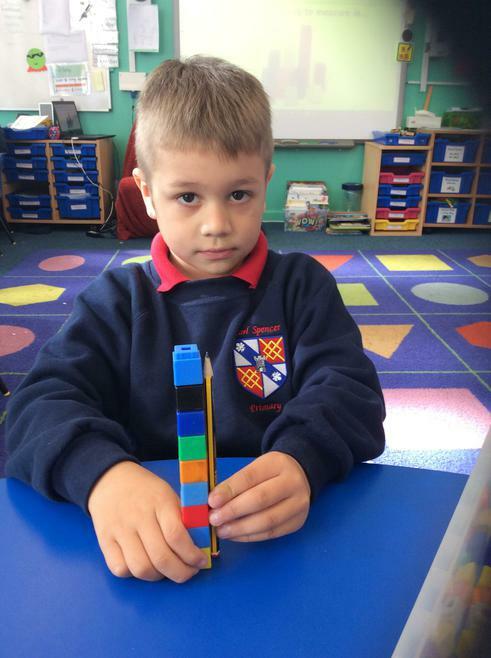 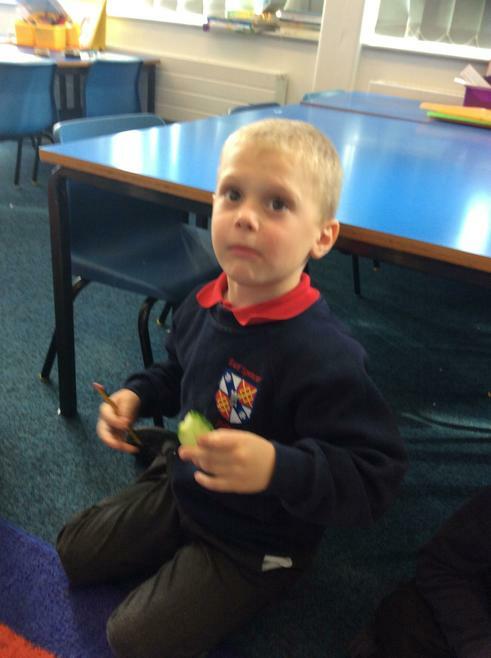 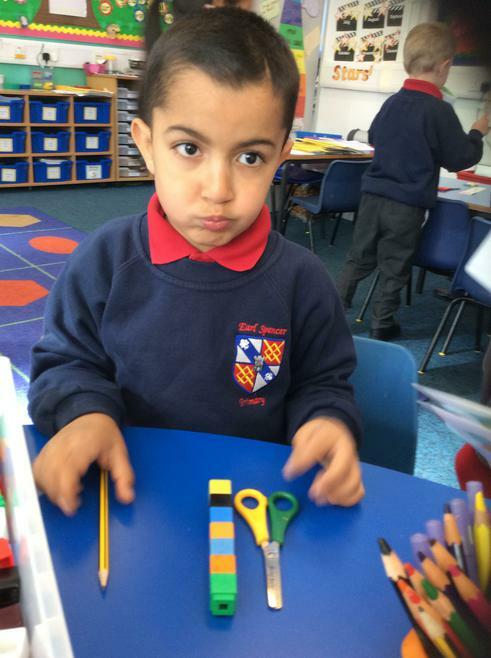 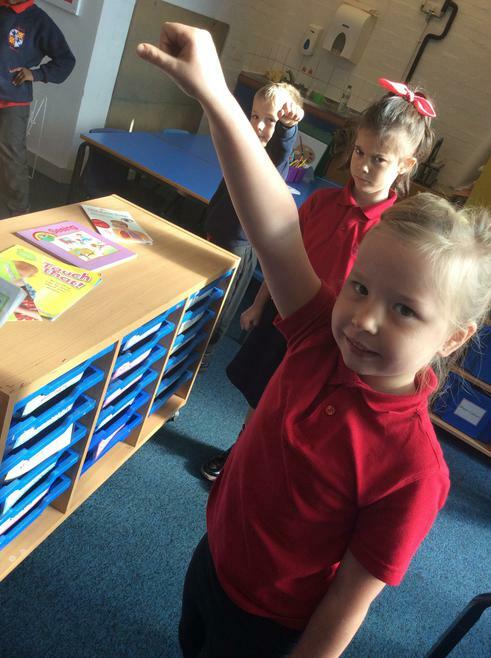 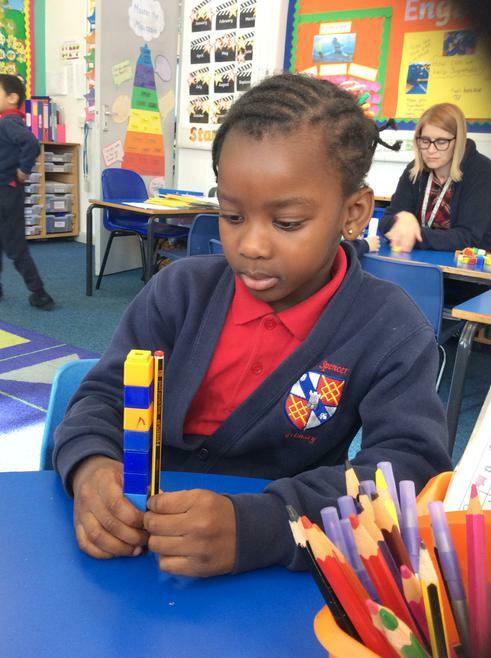 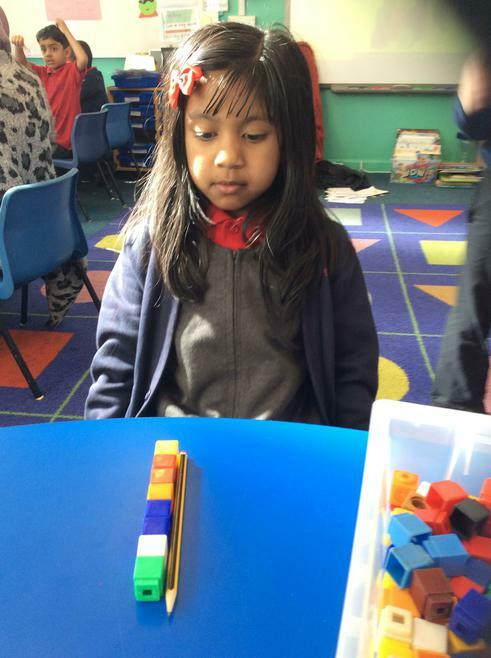 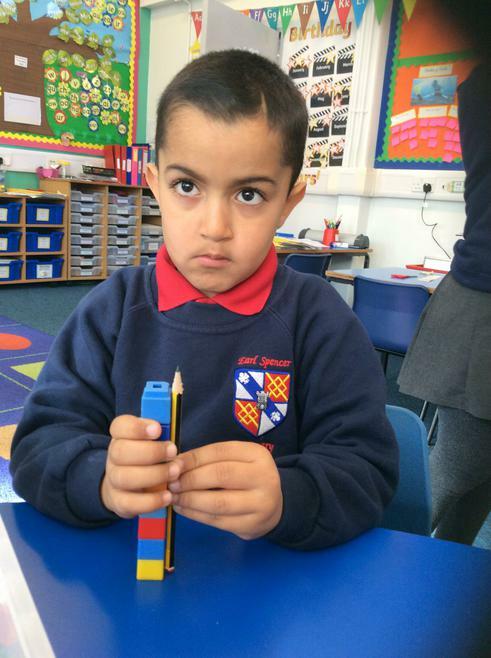 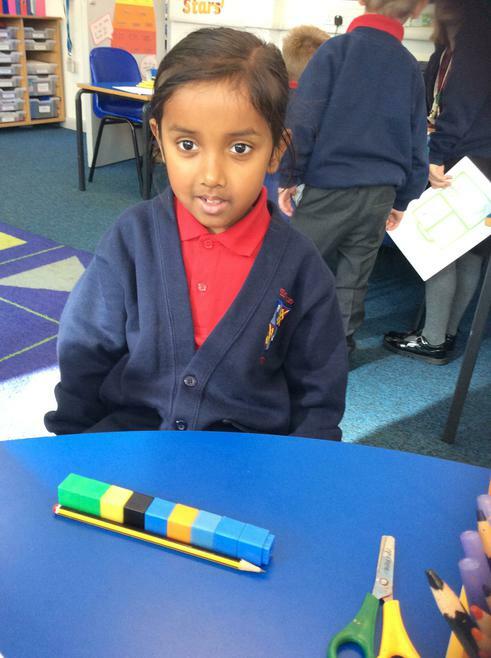 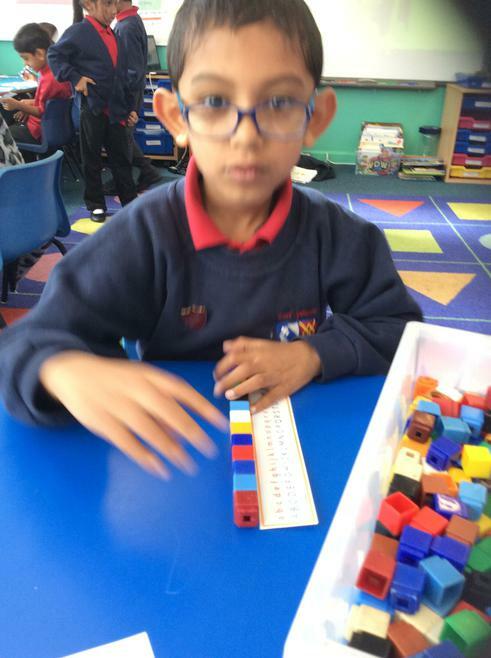 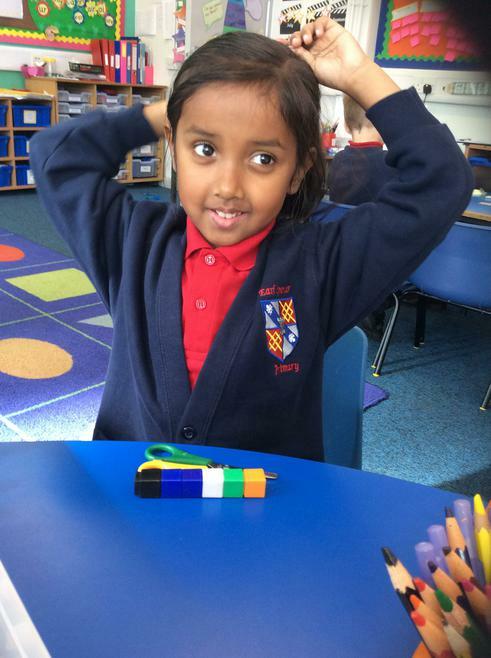 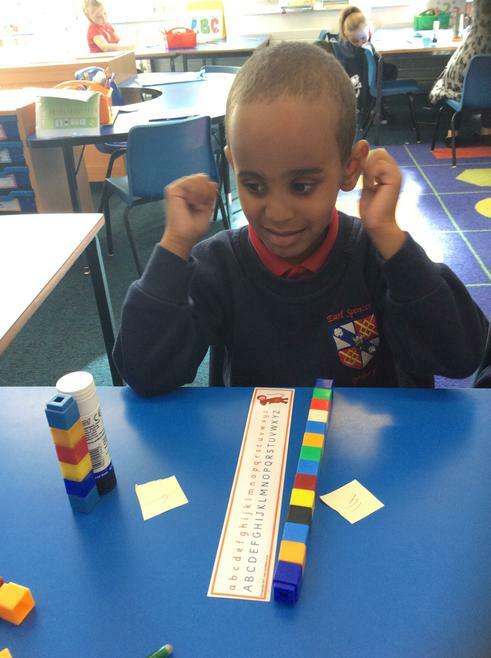 We have been measuring items using non standard measures. 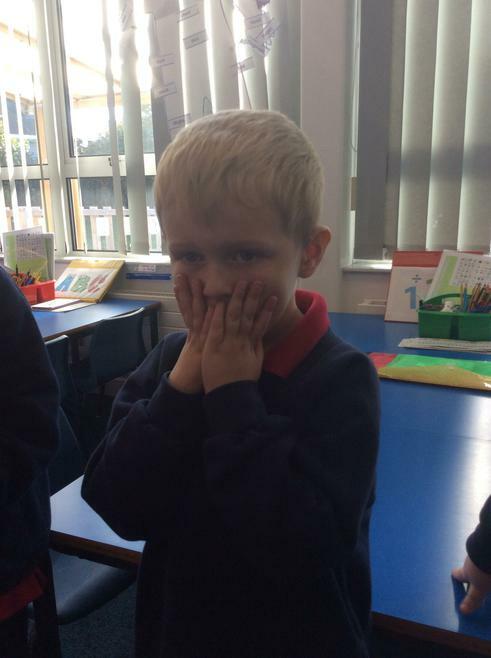 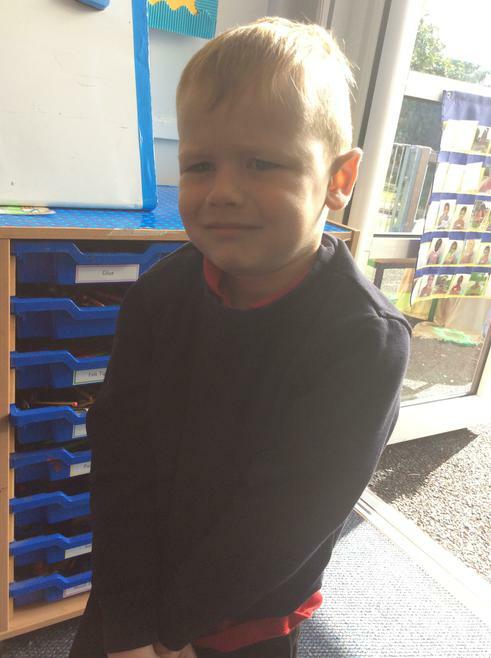 We used freeze frames to show the feelings of characters from Supertato. 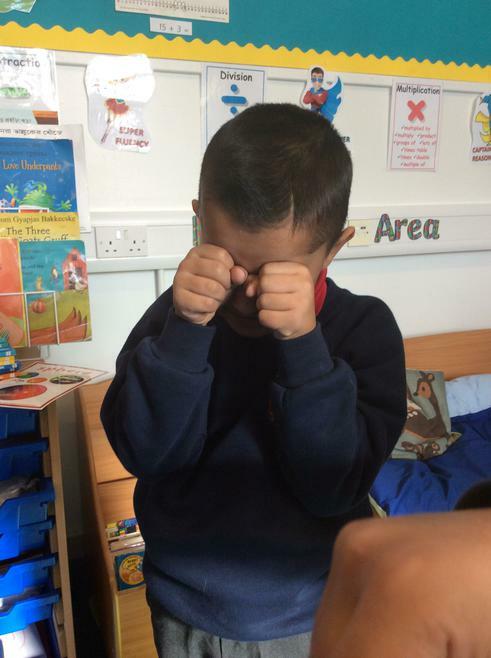 Can you guess what each person is feeling? 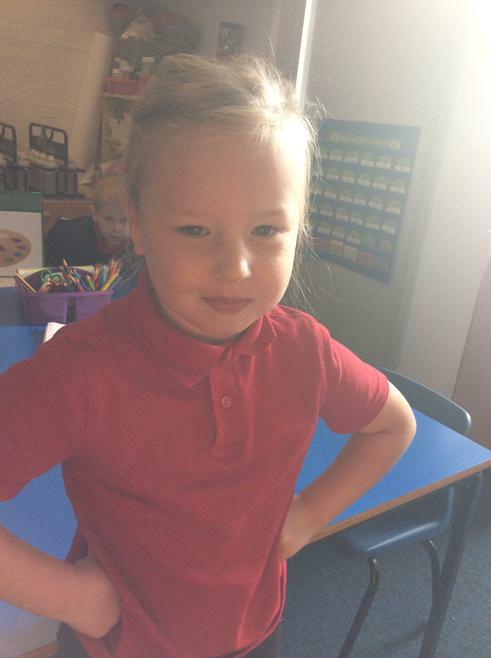 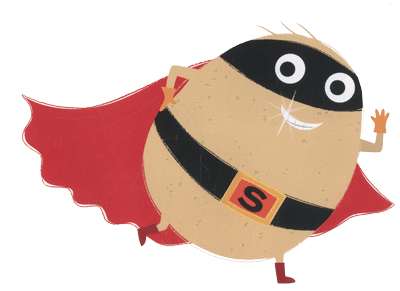 In English we have been predicting who trapped Supertato. 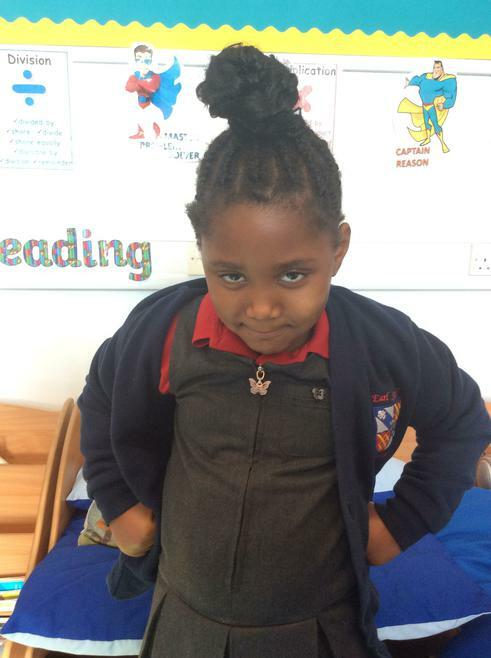 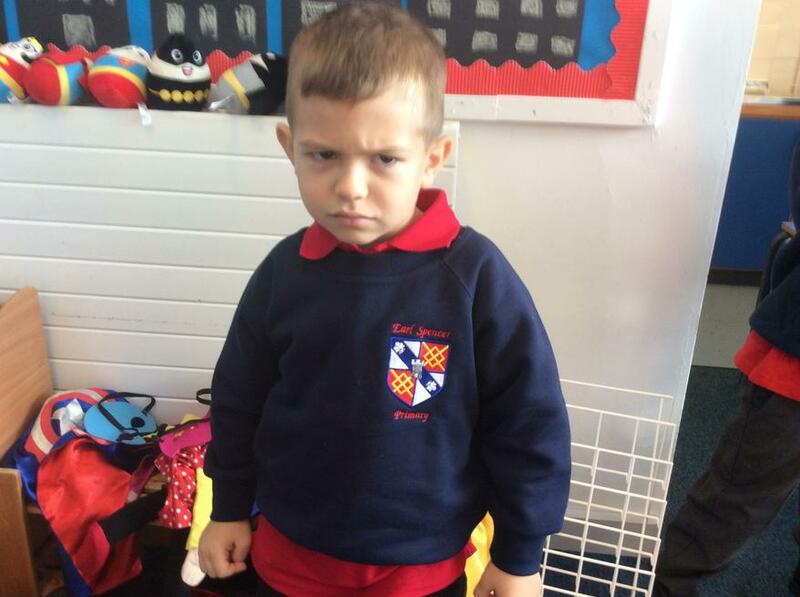 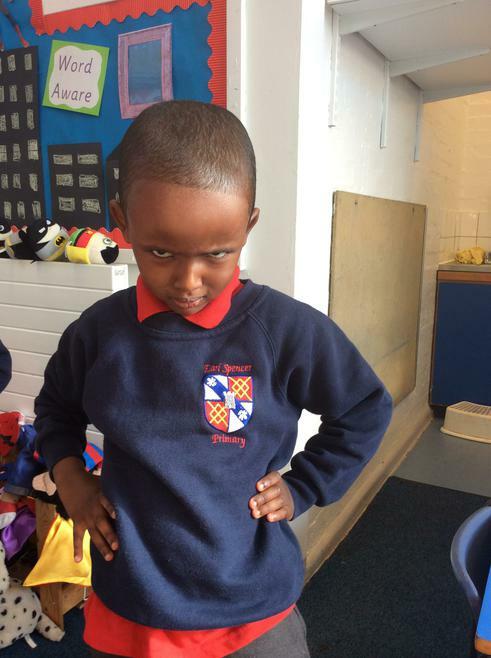 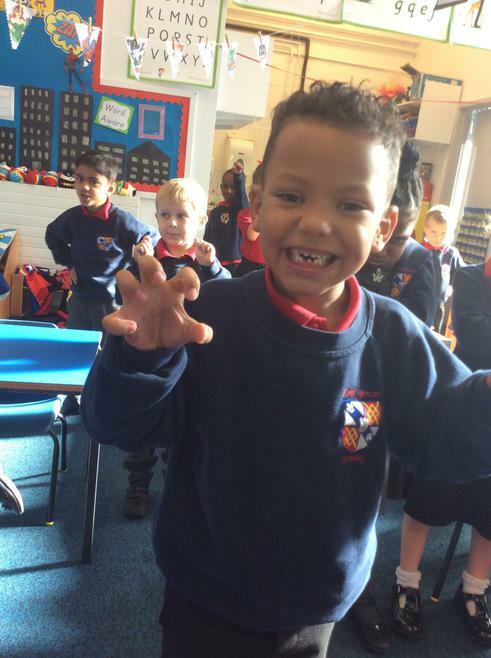 Our topic this term is Superheroes. 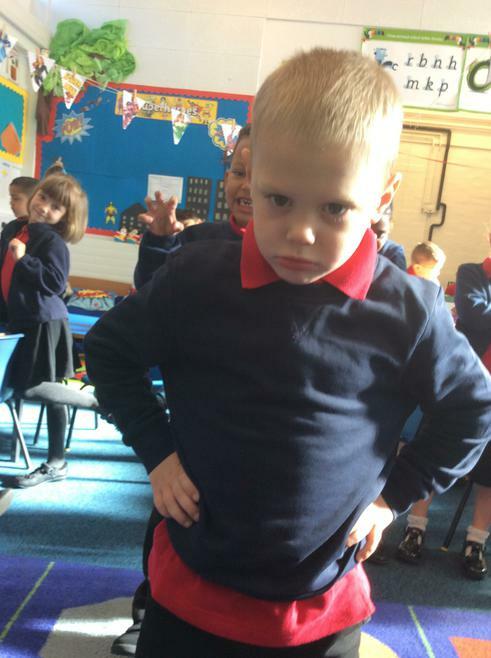 In this topic we will be starting with fantasy superheroes before moving on to look at real life superheroes and people that help us. 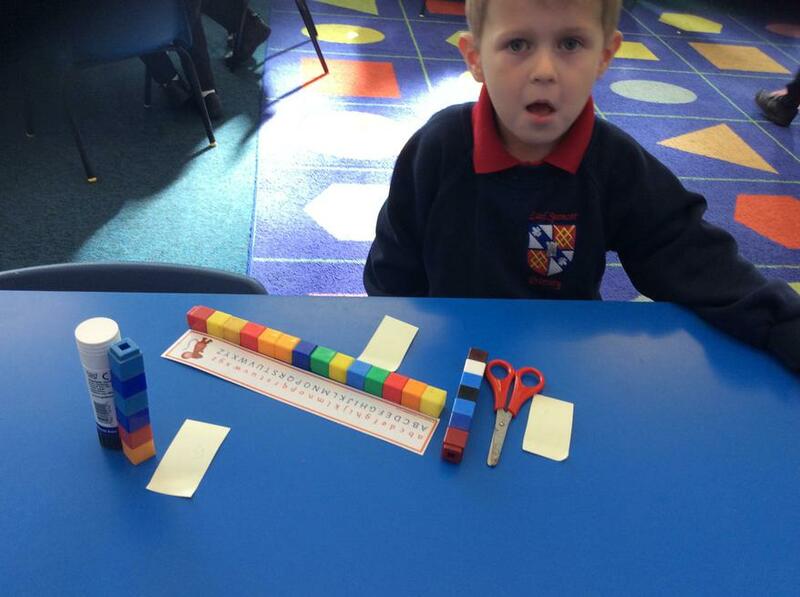 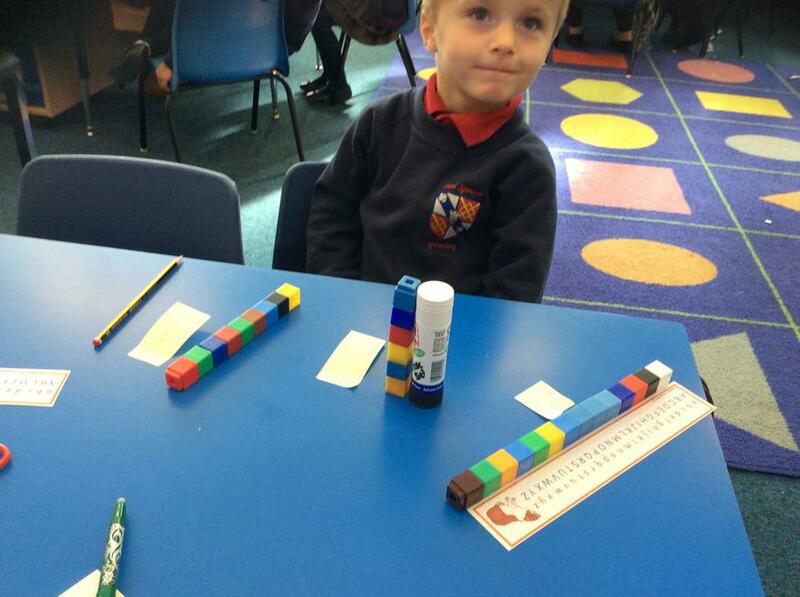 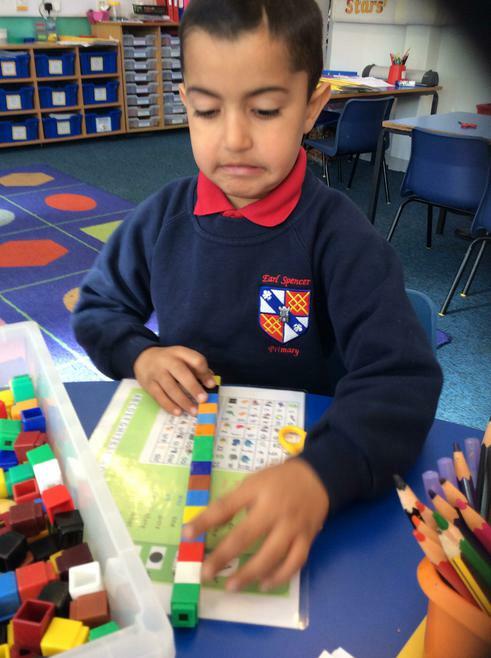 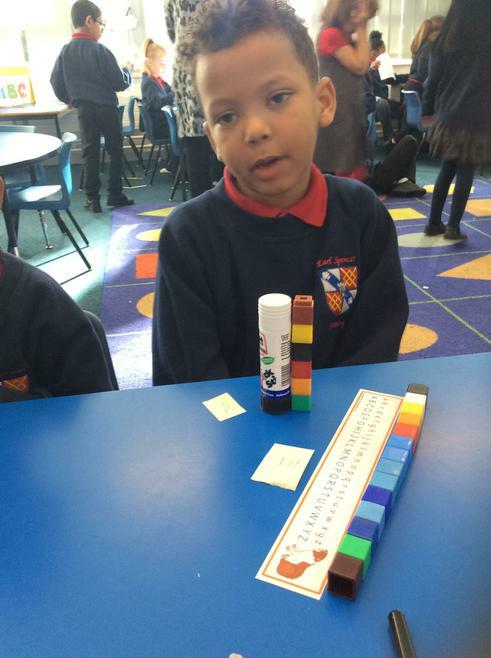 In maths we will be learning about number starting with ordering and one more and one less than a given number. 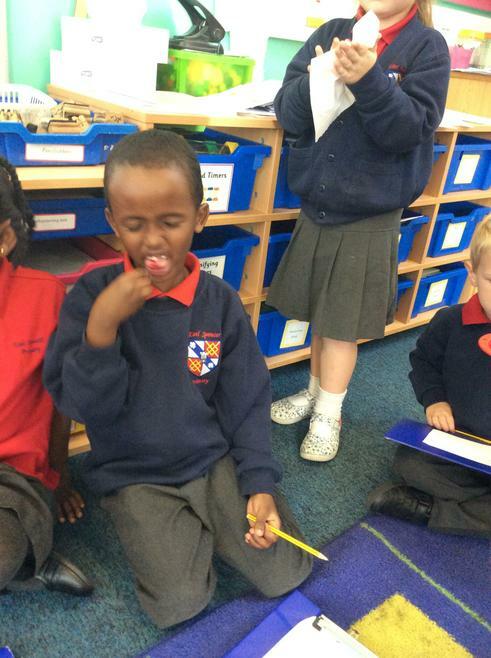 In topic and science we will be looking at the human body and learning about our 5 senses.